The publishing and editorial team regularly cooperates intensively with specialist journalists and guest authors to ensure that IT business remains an independent specialist ICT magazine tailored to meet the needs of companies and organisations. All the articles place an emphasis on information and competence. In fact, IT business is a valuable decision-making aid aimed at those who make decisions about the procurement of hardware, software and services. The editorial content of IT business goes far beyond the usual bit and byte level. All relevant topic areas connected to information and communication technology are given their place in clearly structured sections. 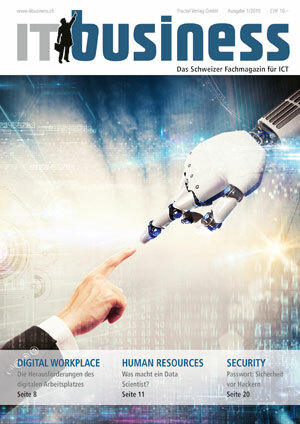 Each issue of IT business focuses in particular on several key themes, reporting succinctly on selected specialized areas in a practical manner designed to meet the needs of the market. In order to offer readers and the advertising industry an ideal environment at all times, collaboration with trade fair and seminar organisers is just as much a logical part of our media concept as presenting ourselves with an attractive Internet site. Achieving a high return on investment is one of the main objec- tives of advertisers. IT business makes this possible in several ways because, as a professional medium, it is very well respected as a specialist magazine. It enjoys a substantial level of acceptance among readers, partly thanks to the expert journalistic input and partly thanks to the clear, attractive design of the title. The positioning of IT business in the media environment is clearly defined. The specialist magazine is an excellent communication platform in the area of ICT, attaching great importance to the people factor. In fact, numerous decision-makers consider IT business to be «compulsory reading». a specialist magazine, IT business is the publication of choice in your target market, clearly focussing on addressing decision-makers and mana- gers in industry, retail, service provision, public administration and organisations. If you choose IT business you will reach your media goals directly, without the costly losses associated with non-selective advertising. IT business always addresses people – managers and specialists in the informati- on technology and communications environment who themselves have an influence on investment planning and decisions.